Indonesian style Kebuli have its own uniqueness of taste. 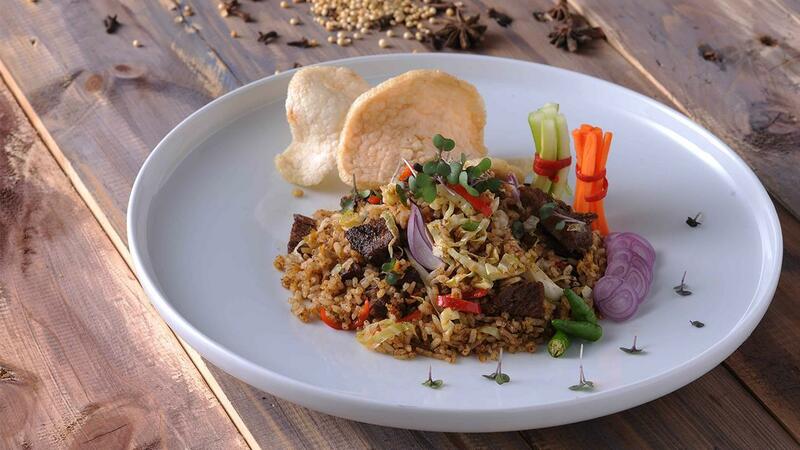 Serve with secret spices on the lamb, make it a new signature menu for those who wants to please every guest and Indonesian food lovers. So yummy! Put all mashed ingredients into a blender and sauté them well. Add minced-onion and Royco Bumbu Dasar Rendang and mix them well. Then, add the diced-chop lamb and sauté them together with the spices until they cooked well. Prepare a steaming pan, and stem the rice that have been washed for 30 minutes. After that, put the steamed rice into a pan and add sautéed lamb with spices and pour the milk. Mix them well. You can adjust the sautéed spices as you like. Steam them in 30 minutes. Pour some ghee on the kebuli rice before serving.